Indigenous people are often traumatised in ways that others are not. This includes systemic racism, discrimination, and historical trauma — the long-term effects of colonialism and cultural genocide. Many residential school survivors struggle with symptoms caused by trauma, complex trauma, and intergenerational trauma. Since 2013, I have provided clinical counselling to First Nations adults, adolescents, and children through Chilliwack Child and Youth Mental Health, Cares Counselling, and Ann Davis Transition Society. 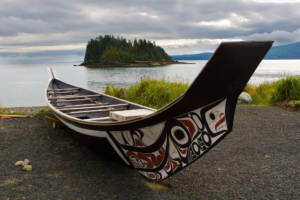 In my private practice, I continue providing psychotherapy to First Nations’ youth and adults. My clinical expertise is in the area of trauma-informed therapy — supporting those experiencing symptoms of PTSD and Complex PTSD. Treatment focuses on holistic support with a strength-based and collaborative approach that identifies the strengths of the individual and their community. I help the client develop a balance of their mental, spiritual, physical, and emotional wellbeing. My goal is to encourage clients to take pride in their identity and heritage. I assist them in identifying their strengths that support positive change and healing. I facilitate Reclaiming Connections parent groups and provide clinical counselling support at healing circles.